...is concerned only with the Divine Nature of the Guru. 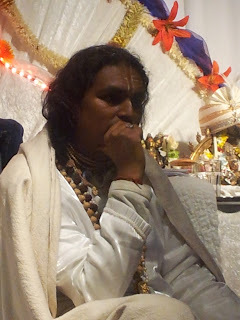 The Guru's actions as man is not the disciple's concern; he is totally oblivious of it. To him, the Guru is Guru even if He acts unconventionally. Always remember that the nature of a Saint is unfathomable. Judge Him not. Measure not His Divine Nature with the inadequate yardstick of your ignorance. Criticise not your Guru's action which is done on universal vision.